Recovering from Grief and Loss – CounselCare Connection. P.C. Grief encompasses a number of changes. It appears differently at different times and it flits in and out of your life. It is a natural, normal, predictable and expected reaction. It is not an abnormal response. In fact, just the opposite is true. The absence of grief is abnormal. Grief is your own personal experience. Your loss does not have to be accepted or validated by others for you to experience and express grief. Why grief? Why do we have to go through this experience? What is the Purpose?Grief responses express basically 4 things. Through grief you express your feeling about your loss. Through grief you express your protest at the loss as well as your desire to change what happened and have it not be true. 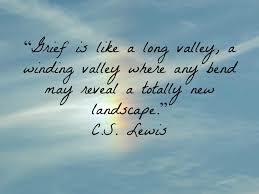 Though grief you express the effects you have experienced from the devastating impact of the loss. The purpose of grieving over your loss is to take you beyond these reactions to face your loss and work on adapting to it. The overall purpose of grief is to bring you to the point of making necessary changes so you can live with the loss in a healthy way. It’s a matter of beginning with the question, “why? Why did this happen to me?” And eventually moving to a new question, “How can I learn through this experience? How can I now go on with my life?” When the “How?” question replaces the “Why?” question you have started to live with the reality of the loss. “Why?” questions reflect a search for meaning and purpose in loss. “How?” questions reflect your searching for ways to adjust to the loss. Trusting, relying on God, casting ourselves & cares on Him (1 Pet. 5:7) precedes any formula we follow. How have you learned to rely on God?